The Stack Room is in the Science Library. Up to 5 items in total. The science library has two photocopiers. 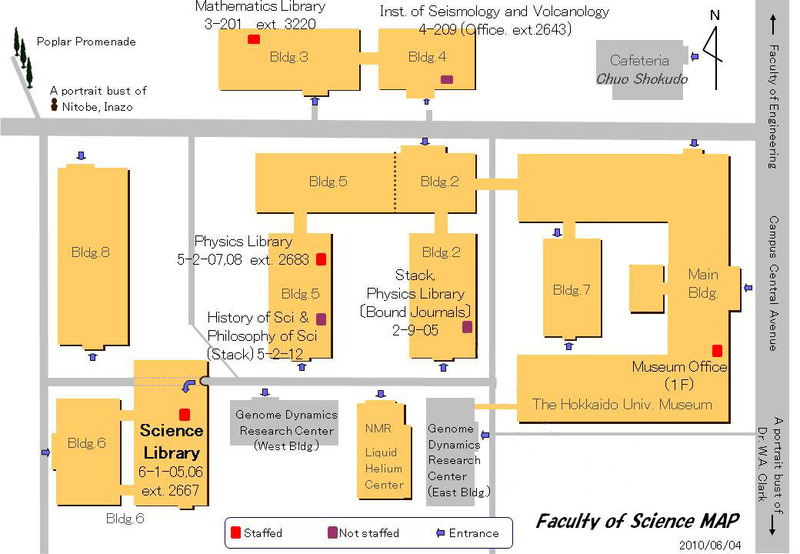 If you don't belong to the Faculty of Science, please bring "Fukushaki Shiyo Dempyo" (a slip for using photocopier) to the circulation desk. Please borrow materials and use a pay photocopier outside.